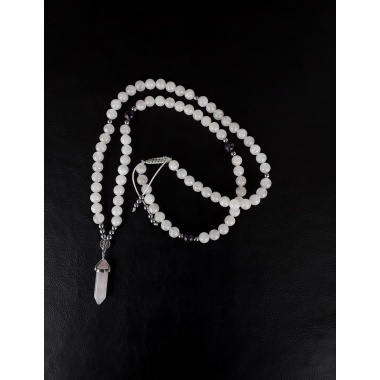 Witch Breaker is a, limited edition, high quality energy infused power necklace specifically designed for individuals that focus on their higher Chakras, for yoga and meditation, for individuals that seek to dispel toxic people and negativity in general, as well as for White Wiccans that fight against the forces of Darkness. 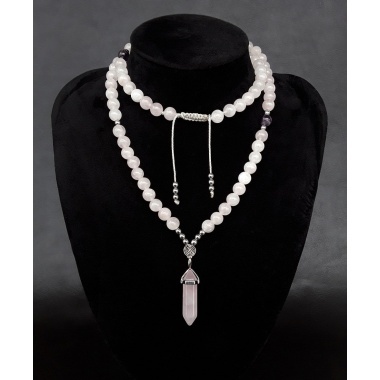 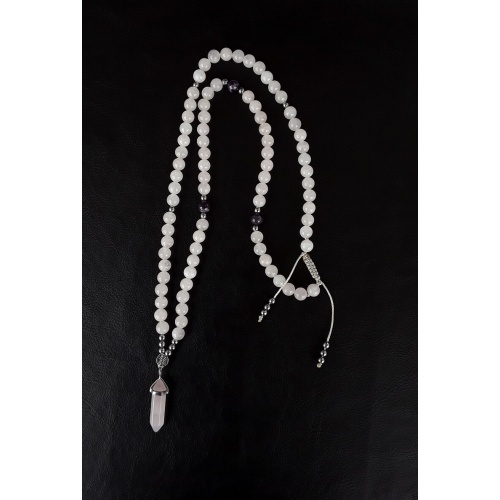 Fully Reiki Charged and Energy infused the power necklace, Witch Breaker, is meant to emit its positive energies and to support its user from the beginning. 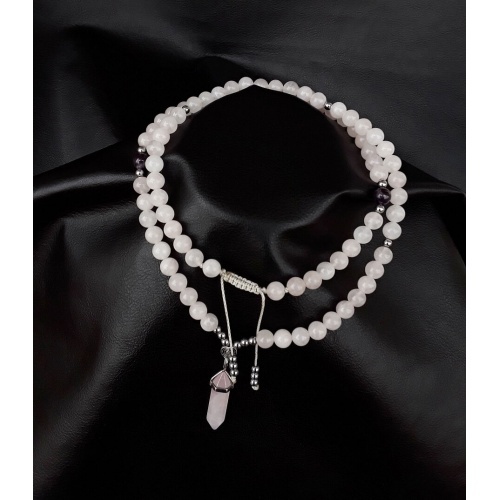 Witch Breaker is crafted on Amethyst and Hematite high quality gemstones, further supported by pure Clear Quartz and Rose Quartz Crystals; and further enhanced by the silver Spiral and a 3.5 cm Rose Quartz Crystal. Each gemstone and crystal have been fully Reiki charged and energy infused so as to create the final form of the Witch Breaker Necklace. 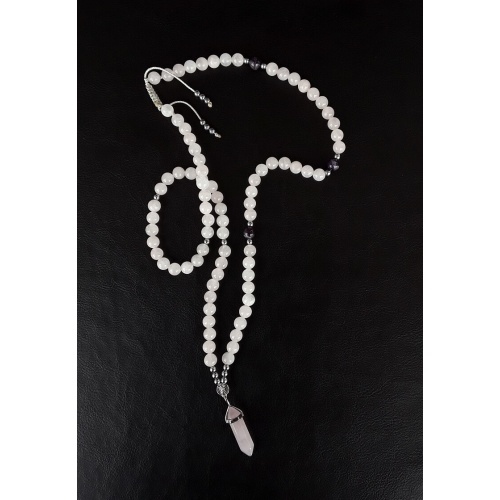 The oldest symbol known to be used in spiritual practices. 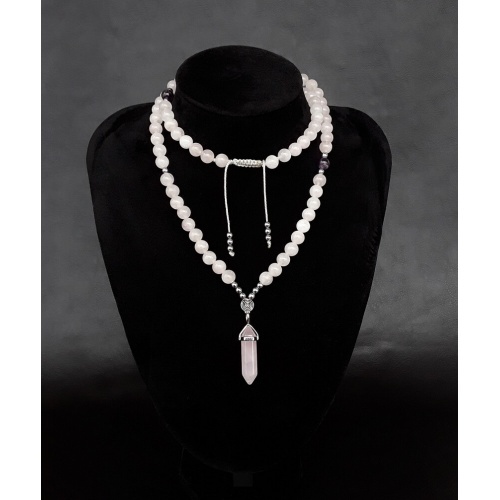 It reflects the universal pattern of growth and evolution and represents the goddess, the womb, fertility and life force energy. Reflected in the natural world, the Spiral is found in human physiology, plants, minerals, animals, energy patterns, weather, growth and death. It is a sacred symbol that reminds us of our evolving journey in life. 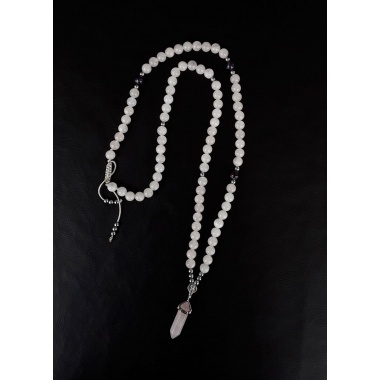 When used as a personal talisman, the Spiral helps consciousness to accept the turnings and changes of life as it evolves.